This is a beautiful handmade Horn Tankard (Mug), made from (Cattle Horn). Each pieces is truly unique and have been highly finished off by Hand. Each mug has a solid wooden base. It is approx. 6 inches tall (15cm), Holds approx. 500ml - 600ml that is (1pint). 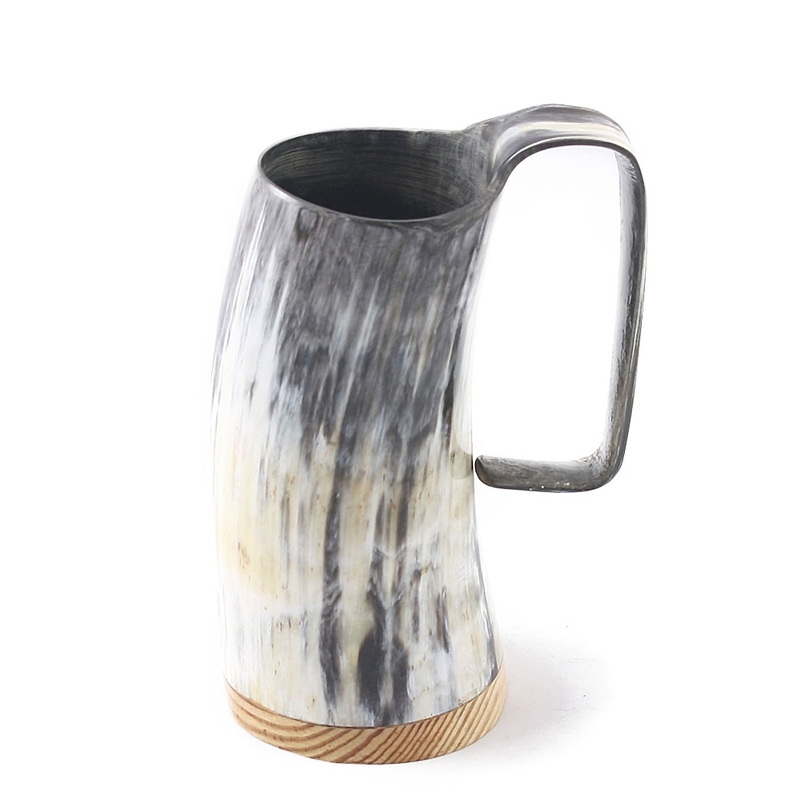 Buyers please note: Horns (Horn mugs) are natural product and they are unique in colour and pattern (No two are the same).